Being bilingual can bring a whole host of benefits to your child. Whether it be communicating with new people, or enhancing the mind, there are various advantages that a second language can bring. As a parent, it’s only natural that you will want to teach your child the language, however, seeking educational resources and using them to your advantage can help your child enormously. Here is a how-to guide on how to teach your child a second language. Kids have a much easier time learning a foreign language the earlier they start. If it’s possible, try and expose your child to a new language when they are still in the infancy stage. If you have any family members or friends who are fluent in the language, encourage them to communicate in the language around the home so your child can begin to pick up words and phrases. Every child is different when it comes to how fast they pick up a new language, so try not to put too much pressure on them. If your kid is struggling, it’s important to be patient and empathetic. Instead of giving up at the first hurdle, make sure to be supportive and reach out to them when they need help. Being able to communicate with your child is incredibly important. 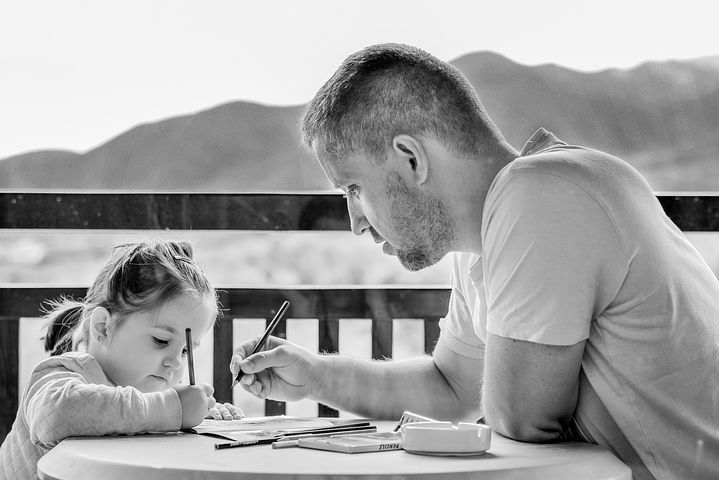 Once you have a chat with your child, you will be able to identify their strengths and weaknesses which can help you make minor adjustments to their learning to ensure they pick up the language easier. If your child struggles with paying attention, factoring in regular breaks for snacks or playtime can be useful too. Rewarding your child for how well they are doing can make a huge difference. Once they have reached a milestone achievement, be sure to reward them for their efforts. Whether it be successfully learning the names of colors, or being able to follow a simple conversation, there are various small rewards that you can use to keep your child on the right track and provide them with the motivation and determination they need to succeed. Toys, candy, or their favorite meal can all be great rewards to keep your child on the right path. There are various language-learning software programs that can be used to enhance your child’s ability to learn a new language. Be sure to check out My Daily Spanish where you can find a range of books and flash cards that can help your child learn Spanish vocabulary. There are a variety of eBooks that your child can take advantage of, such as Spanish phrasebooks, Spanish stories and bedtime stories that can all be hugely beneficial. Making the learning process fun and interesting can help your child retain information. If you can, why not have a look for foreign language classes in your local area? Being able to find classes that teach your child’s age demographic can be another great way to help your child learn a new language. There may be private lessons available which can provide your child with quality instruction and help them learn alongside their peers. In addition to foreign language classes, there may be extracurricular activities that your kid can participate in to help them broaden their knowledge of a new language. Allowing your child to be in a language-immersive environment can give them more confidence and boost their self-esteem. Look into the various activities on offer such as dancing, cooking classes and acting, which are all conducted in a different language. If your child doesn’t like to sit still, getting them to do something active and fun can help them learn better. Going on a trip to a foreign country can be a great way for your child to be fully immersed in the language that they are learning. For example, if your kid is learning Spanish, there are various fantastic resorts that you can go to. Whether it be for a vacation or a short trip, having your child communicate with the locals can be massively rewarding. So your child feels at ease, it’s best to book the trip once they feel more confident with their ability to communicate. There’s no point going in the early stages of their learning as they may feel reluctant to speak to others. Consistently repeating new phrases and words to your kid over and over can help your child retain information. Instead of things going in one ear and out the other, you may benefit from giving your child a quick quiz to ensure they have fully understood a particular word or phrase. Encourage your child to repeat new words as well, and if there are any jokes or sing-songs that your kid enjoys, make sure they repeat them too frequently during a lesson. The more your kid is surrounded by the language, the better chance they have of learning it themselves. Be sure to communicate with your child in the second language as much as you can, as well as providing rewards too. A great way to keep things moving in the right direction is by labeling your household items in the second language, helping your child to correctly identify them.